Please click here to see a list of our Book Fair Contest Winners and for a message from Ms. Mori about our Fall Scholastic Book Fair! 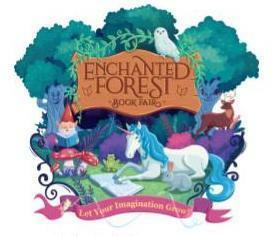 To everyone who came to our "Enchanted Forest Book Fair: Let Your Imagination Grow! ", and to all who helped make it a great experience, a big MAHALO! Your generosity has helped us in making it a successful fundraising event. The students of Kipapa will enjoy the benefits. Please continue reading with your children. Didn't have a chance to stop by? Be on the lookout for another exciting fair coming in the spring!